This is the second of the artist tribute Tripomatic Symmetrees. So why Rothko? For me Rothko is one of those painters that manages to capture unfathomable depths to his work with a beautiful visual simplicity. If you’ve ever stood or sat in front of one of his pieces you’ll understand the impact it has. Although renowned for experimenting with differs colours, I’ve always been particularly drawn to his red series. The chance to emulate this colour in the Symmetree work allows me to help you see his desire that his pieces should be seen as contemplative. You give yourself time to just sit and absorb. In his poem ‘Leisure‘ William Henry Davies extols the preciousness of time. Most of us know the closing line ‘We have no time to stand and stare’. It’s probably truer now than it was then. So let’s make a little more time to sit absorb and reflect. Enjoy! 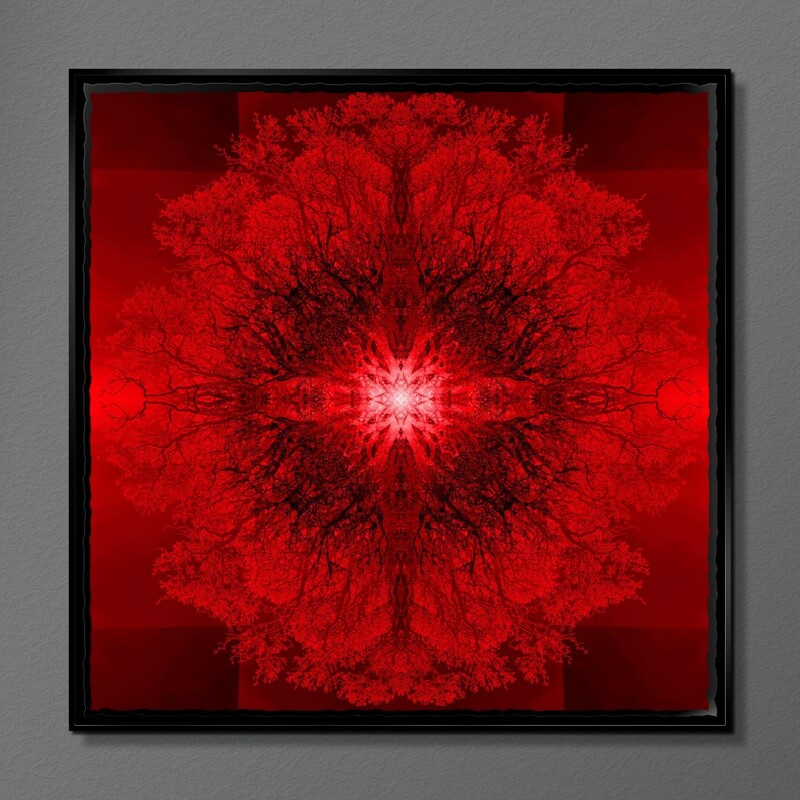 Symmetree Tripomatic Rothko is framed and set in resin.